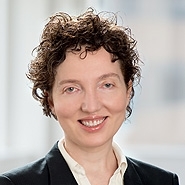 Last month, Amgen sued Adello Biologics, a US-based biosimilar maker, for patent infringement under the Biologics Price Competition and Innovation Act of 2009 (BPCIA) in connection with Adello’s proposed biosimilar of Amgen’s Neupogen (filgrastim). Adello elected to bypass the pre-suit procedures of the BPCIA and did not provide any information to Amgen regarding its biosimilar or how it is manufactured. Absent any information from Adello about its biosimilar, Amgen asserted 17 patents against Adello blind. The lawsuit illustrates the consequences of the Supreme Court’s and Federal Circuit’s recent decisions holding that provisions of the BPCIA requiring production of information to the innovator company are not enforceable under federal or state law and that information needed to assess infringement can only be obtained by filing a patent infringement lawsuit. In Sandoz v. Amgen, the Supreme Court held that initiating the pre-litigation information exchanges required by the BPCIA cannot be enforced under federal law. The Federal Circuit confirmed that the same was true under state law in Amgen v. Sandoz, leaving innovators seeking to compel disclosures from biosimilar makers no recourse other than to sue for patent infringement. The Federal Circuit also made clear in Amgen v. Hospira that the BPCIA does not provide any independent basis for discovery once some patents are asserted and that it is therefore necessary to assert patents that may be infringed to obtain discovery specific to those patents. On September 11, 2017, shortly after both the Supreme Court’s decision in Sandoz v. Amgen and the Federal Circuit’s decision in Amgen v. Hospira, Adello announced that its biosimilar marketing application for its proposed biosimilar of Amgen’s Neupogen was accepted for review by FDA. According to the complaint, that same day Adello informed Amgen that it “is not required to and does not intend to provide Amgen with [the application] or manufacturing information contemplated by 42 U.S.C. § 262(l)(2)(A).” At the same time, Adello also provided a notice of commercial marketing, stating that it would begin marketing its biosimilar product as soon as approved by FDA but no earlier than 180 days from its notice (i.e., March 10, 2018). FDA is expected to act on Adello’s biosimilar application in the third quarter of 2018. On March 8, shortly before the expiration of the 180-days’ notice, Amgen sued Adello for patent infringement blind. Although many biosimilar makers will take advantage of the procedures of the BPCIA, given the recent Supreme Court and Federal Circuit decisions some biosimilar makers, like Adello, will choose to bypass the BPCIA information exchange procedures leaving innovators to assert patents that may be infringed blind. Amgen’s lawsuit, 2:18-cv-03347, is pending in the District of New Jersey and has been assigned to Judge Cecchi.